NAMM’s Retail Training Summit is an immersive, all-day education experience for anyone and everyone in music retail. Held the day before the show starts, this mini-conference features multiple educational tracks for all professionals in a music retail business. For 2019 Summer NAMM, the Retail Training Summit offers brand-new trainings—tracks on retail management, online content creation and new laws that are likely to impact your business. We’ve also brought back popular tracks for you and your team on marketing, sales and succession. Walk away with hands-on, proven ideas and best practices you can put to use right away to grow your business, whether you’re a retail owner, manager, salesperson, marketer or admin staff. Cost: Free for NAMM members. Registration is required. 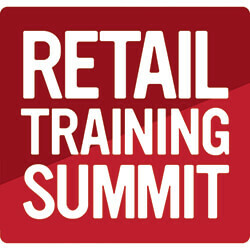 The Retail Training Summit offers six tracks to choose from. Note: You can choose one morning track and one afternoon track. Retail moves fast in our digital world, and in an instant, you can win or lose your next big customer. Digital marketing is no longer one thing—it’s a complete ecosystem of consumer touchpoints for your music store, including search, social media, online content, videos, ads and more. If you want to keep up with the latest best practices and trends, join digital marketing pioneer Larry Bailin for this practical and tactical training for music retailers. Bailin will take you on a deep dive into the digital ecosystem and explore real-world examples of companies maximizing their marketing resources while increasing their returns. Discover their best practices, and take your online marketing to new heights. Product knowledge is important in generating sales but by no means the only factor. 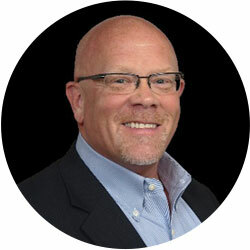 Engaging customers is, without a doubt, the most critical step in the selling process—and oftentimes the most problematic for salespeople. 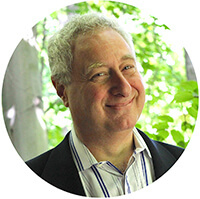 In this high-impact training presented by Thomas Post of The Friedman Group, you’ll find out how to establish trust and rapport long before the product demo. Post will cover how to effectively open a sale, get past customer resistance, create a welcoming environment and inspire customers to open up about their wants and needs. He’ll also look at the key communication tool to turn questioning into trust-building—and what to do when all else fails. This training is designed for everyone from owners and managers to brand-new salespeople. Do you want to create a succession strategy? Or, are you looking to buy a music store? Either way, you’ll want to attend this deep dive into business succession, presented by music retail financial experts Alan Friedman, CPA, and Daniel Jobe, EA, of Friedman, Kannenberg & Co. This hands-on training will look at the pros and cons of different store transition options, along with the effect each has on cash, control and taxes. 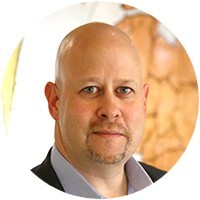 Friedman and Jobe will reveal what does and doesn’t add value to your store, vital tips for starting the succession-planning process and how to calculate the dollar amount of what your business is likely worth. You’ll also hear five real-life case studies of transitioning a music store. This track is designed for everyone from owners and their families to managers and potential successors. Videos, photos, blogs—they’re all key tools in promoting a music retail business today. 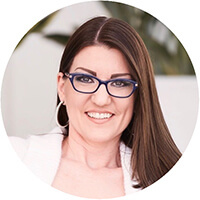 And if you want to get up to speed on the latest best practices, join marketing expert Jenn Herman for this hands-on workshop. She’ll look at how to create effective retail promotional videos, online posts and more for your website and social media, drawing on techniques and hacks she’s discovered with her clients—and as a leading Instagram blogger. 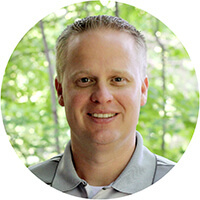 Herman will also discuss helpful content-creation gear and tools to take your videos to the next level. If you’re too busy to learn all the ins and outs of content creation, this training will be invaluable; if you’re a professional marketer, get ready to up your game! What are the must-knows of managing a successful music retail operation? How do you ensure high performance in a low-performance world? Find out at this special retail-management training, hosted by Thomas Post of The Friedman Group. He’ll cover how to effectively set goals (and why it’s essential), benchmark competence, communicate how you want things done, coach staff and hold them accountable. You’ll also see how your management style can either hurt or help your store. A training for experienced, new or prospective retail managers. Internet sales tax collection, new labor laws, the Tax Cuts & Jobs Act—the last year has seen unprecedented changes that will likely impact your business. These federal and state laws can be complicated and confusing, and ignorance could put your store in financial peril. Are you prepared? Join leading financial experts Alan Friedman, CPA, and Daniel Jobe, EA, of Friedman, Kannenberg & Co., and find out how these potentially disruptive events can be prevented with a little proactive management. Originally hosted at The 2019 NAMM Show, this exclusive training will expand upon the concepts Friedman and Jobe presented with more information to help you withstand these new financial rigors. Don’t go into the second half of 2019 unprepared! 1. If you are registered for a Summer NAMM badge and have requested more information about Retail Training Summit on your Attendee Profile, you’ll receive a follow-up email to complete your registration. 2. If you are an authorized contact for a NAMM retail member company, you can log in to access badge registration and select who you'd like to attend Retail Training Summit. (If you need to check your contact role, visit your profile page.) Once you are logged in, click on the Registration Dashboard button on the right-hand menu. Then, locate the name(s) on your registration list and check the box for Retail Training Summit. Those selected will receive a follow-up email to finalize their Retail Training Summit registration. 3. If you have difficulty signing up or have any questions about Retail Training Summit, contact NAMM at 760-438-8001, or email nammu@namm.org. If you're a NAMM exhibitor/commercial member and would like to register for Retail Training Summit, please email nammu@namm.org.